Early summer evenings in San Francisco are as cold as I remember and living in Dallas, I completely forgot that, hence I was not smart enough to bring a coat. Thank goodness for the AAU bus service. After the tour at the Asian Art Museum, we were shepherded to 54 Mint where Gladys Perint Palmer (GPP), Executive Director of the School of Fashion hosted dinner for us. 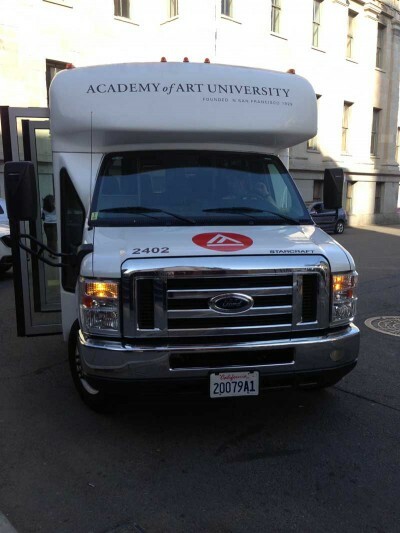 In fact, for the whole three days of the Academy of Art University Graduation Week, AAU is hosting our group. Because this is the first night, dinner was a cozy affair with Gladys Perint Palmer, together with Simon Ungless, Director of the School of Fashion and Ian MacKintosh, Director of Public Relations joining us for dinner. The rest of the group will be arriving tomorrow including Max Azria and Lubov Azria who are the guests of honor.